460 whp. This test was done in 3rd gear. 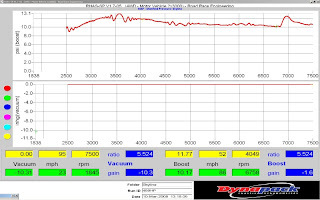 The full results and testing info from both dynos should be out from Edmunds - Inside Line within the next few days. 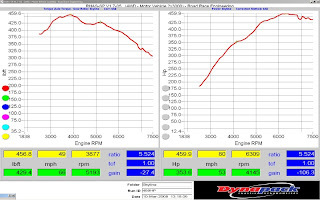 After the jump - the boost chart , and R35 GT-R vs V8 M-3 Dynochart.